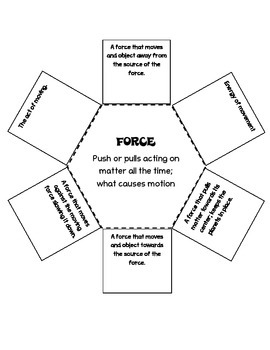 This foldable and activity covers force, motion, mechanical energy, gravity, pushes, pulls, and friction. 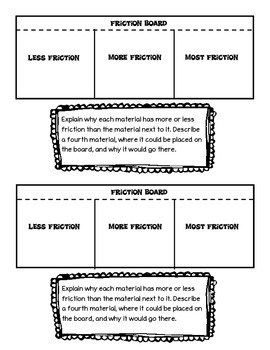 Students complete the foldable, then have an activity of amounts of friction. Then there is a writing prompt for applying friction. 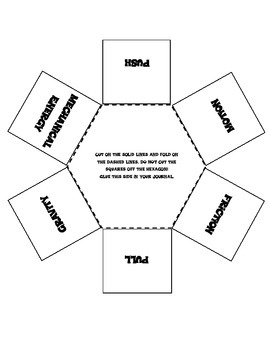 This foldable follows the left side / right side journal design. 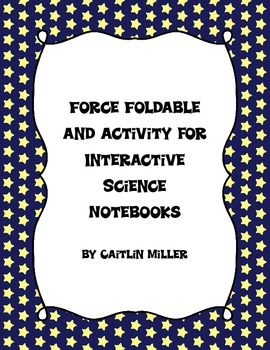 Force Foldable and Activity by Caitlin Miller is licensed under a Creative Commons Attribution-NonCommercial 3.0 Unported License.